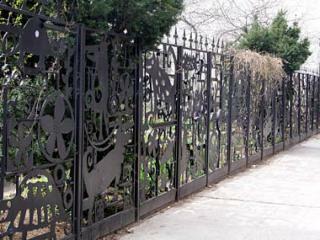 A delightful fence sets the tone for this lush, well-tended garden located on East 12th Street between Avenues A and B. This garden hosts programs ranging from "Save the Shade", "Make Your Mark in the Park", and "Elm Watch" among others. Click on the link below to find more information regarding the garden, special events, and upcoming programs.